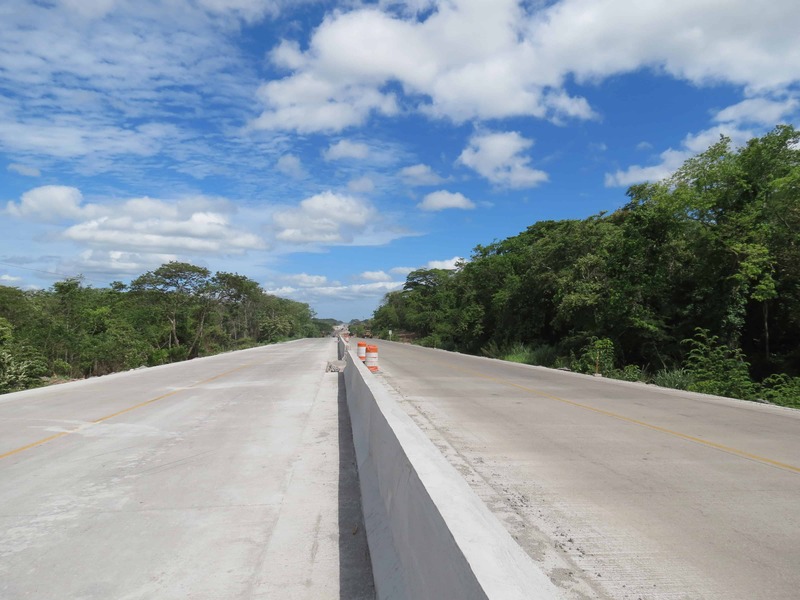 CAÑAS, Guanacaste – The widening to four lanes of the Inter-American Highway North, from Cañas to Liberia, is moving forward at full pace. 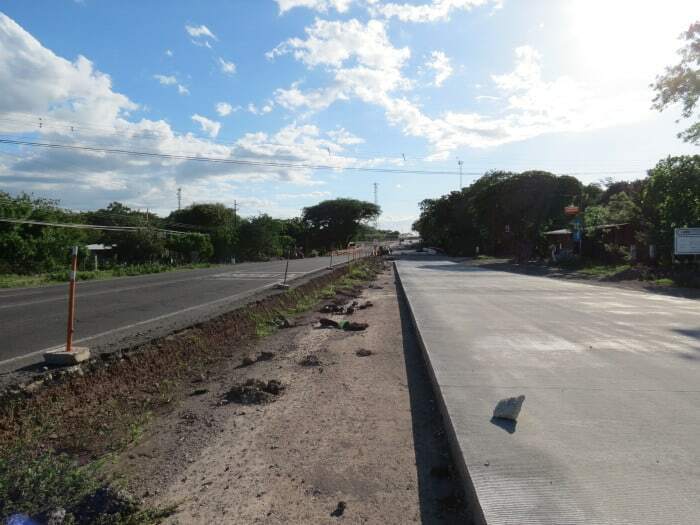 A recent visit by The Tico Times to the construction site confirmed that the project already has changed the lives of hundreds of local residents who use the highway daily. But not all the changes are good, some locals say. 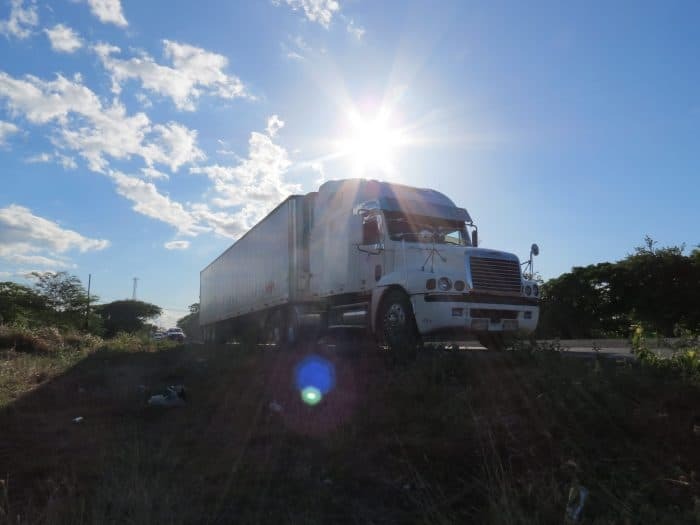 Officials from the Public Works and Transport Ministry, or MOPT, say that communities along the Inter-American Highway will benefit from the highway’s expansion because travel times will be faster and the road will be safer for drivers and pedestrians. Plus, it will create new jobs, they say. The project started in May 2012, and although MOPT and the private construction consortium FCC have not stated when it will be finished, the contract sets a final date of May 31, 2015. According to MOPT project managers Carlos Villalta, Enrique Obed and Kenneth Solano,contracts for 18 new or renovated bridges have different completion dates leading up to the May 2015 deadline. Three intersections also will be modified – in Cañas, Bagaces and Liberia – by Spanish construction firm Puentes y Calzadas SLU. The deadline for the new intersections is November 2015. But there is much speculation as to the specific benefits for adjacent communities, and not much has been put down on paper. Villalta, Obed and Solano highlighted only the project’s goal of providing better roadway conditions and a safer and faster route. It has created temporary jobs: Currently 350 new hires are working on the roadway, while 230 workers are building bridges and 200 others are slated to renovate the three intersections. According to MOPT, once finished, the expanded highway will reduce travel times by at least an hour. Esmeralda Arévalo, a master’s student in wildlife conservation at the National University, chose the project for her dissertation. During her research, she spoke directly with residents from nearby communities who will be affected by the project, interviewing 81 people who live along the route, specifically between El Salto River and Cañas River. The interviews took place from June to December 2013. Arévalo spoke with residents of San Cristóbal, Cañas, El Pretal, Corobicí, Hacienda La Pacífica, Montenegro, La Guaria, Villa Vieja, Bagaces, Pijije and El Salto, communities with diverse businesses and people. Arévalo told The Tico Times that she asked locals if they thought the project would have a positive or negative influence on their lives, and if they favored or opposed it. Many said they viewed the project as positive and “necessary” for the development of their communities. Others said construction already has hurt their small businesses, which include sodas (small restaurants), auto service centers, fruit shops and pulperías (corner stores). Of those interviewed, 33 saw the project as a positive development, while 42 said it was a negative one. Six people said they did not have enough information to decide. Positive responses included statements such as: “It’s a good thing”; “it incorporates safety measures” (such as better signage, more speed control, pedestrian bridges and sidewalks); it is “fundamental for the community’s development”; “it improves transit”; “it was desperately needed”; “it will facilitate a greater number of vehicles”; and it’s “bonita” (pretty). Asked if the highway expansion would bring benefits to the communities, 26 people said yes, while 49 said no. Six did not respond. Among the benefits mentioned were more businesses, a better business environment, new jobs in the region and more tourism. Some mentioned the new pedestrian bridges, ease of transit and increased property values. Some claimed that the removal of trees in the area was unnecessary, that the project has caused significant environmental damage and that many animals have been killed on the highway due to loss or disruption of habitat. They also complained about a lack of information regarding the project and an abundance of dust. 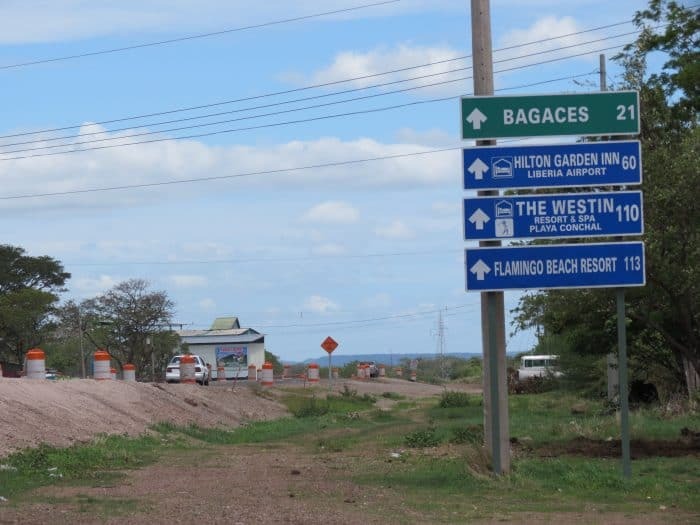 Bagaces Mayor Jorge Rojas told The Tico Times that Bagaces “has benefited significantly from the expansion.” He said it has generated jobs and businesses have benefited. 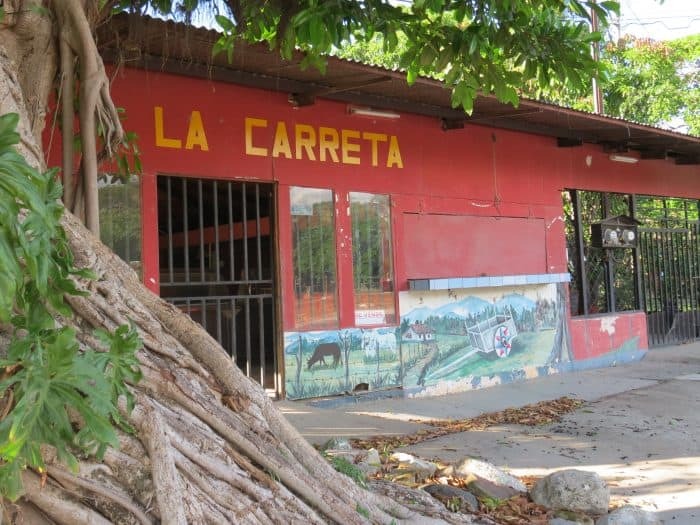 For example, many temporary workers are housed in local cabinas, which they rent. Rojas said the project also has helped generate interest in investment. “We’ve seen people come here with an interest in setting up shop along the highway, because it’s going to cut travel time from the airport at [the provincial capital of] Liberia and from Caldera Port,” on the central Pacific coast. “This corridor extends from Puebla, in Mexico, to Panama, and it favors the exchange of people and goods. It reduces travel time, which will help reduce operating costs and the final cost for consumers who buy the products,” the three MOPT officials said in a joint email. The International Network of Mesoamerican Highways, or RICAM, was established on June 28, 2002 in Mérida, Mexico. Several countries, including Costa Rica signed a memorandum of understanding that sought to modernize more than 13,000 kilometers of highways in the region. The Pacific Corridor – which includes the Inter-American Highway North – is a regional corridor of integration that spans 3,244 kilometers of highways that cross six international borders and seven countries along the Pacific coast. Some 95 percent of traded goods in Mexico and Central America pass within this corridor.